Gretchen Asher, CEO of BeFab Skin Care that formulates anti-aging skin care products for women over 40 joins eHealth Radio and the Anti-Aging & Skin Care Channels. What is the dirty little secret of the skin care industry that women age 40+ need to know? How did you find out about this secret? Can you explain more about active ingredients and why they are important? What should women pay attention to regarding active ingredients? What can women do to educate themselves on what they need to look for in great anti-aging products? 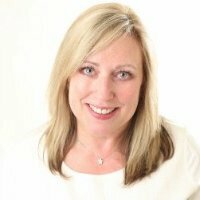 I have had a fantastic 20+ year career as an external consultant in corporate America; helping companies improve their business operations and understand how to exceed customer demands. 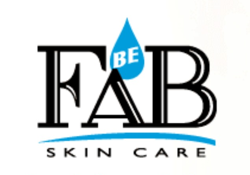 My corporate career has led to the launch of my baby, BeFab Skin Care; formulating anti-aging skin care products for women age 40+. A few years ago I became disheartened by the disappointing skin care products as I noticed my skin begin to show the symptoms of peri-menopause/menopause. The loss of firmness, wrinkles, dullness. I tried several dermotologist-promoted brands without results. I thought it was my aging skin. It wasn’t until I had the opportunity to work with a team of formulation chemists to produce my own products, did I learn the dirty little secret of the skin care industry…that most brands skimp on the active ingredients by adding only trace amounts. I am committed to providing products with the RIGHT active ingredients in the RIGHT concentration. I won't skimp on the good stuff and I share the concentration information of the active ingredients in BeFab products. I also provide free skin care and menopause education via video, radio and written blogs. For 20% off your first order, use discount code eHRadio just before order completion.